Walgreens has L’Oréal Hair Care is priced at $4.00 each. 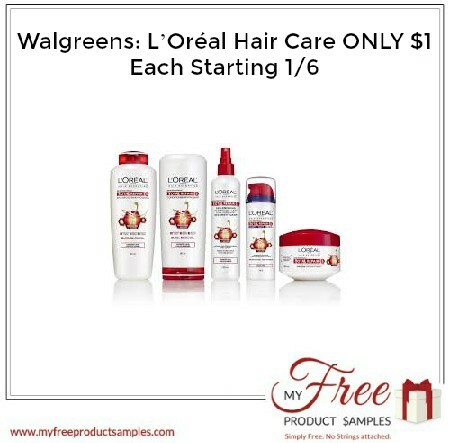 Thee is a L’Oréal Hair Care Walgreens Instant Value Coupon and L’Oreal Elvive Haircare or Advanced Hairstyle Products coupon. You can get L’Oréal Hair Care ONLY $1 Each after offer. FREE In Stores This Week!